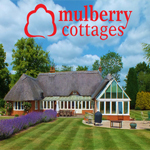 Mulberry Cottages - have a stunning collection of almost 600 lovely self-catering holiday cottages and homes throughout Southern England, from Canterbury to Cornwall. And we're constantly growing! We have holiday cottages that will suit everyone's needs! Whether our valued customers are looking to book a romantic weekend break for two, or a large holiday home for a special occasion such as Christmas, a Wedding or even a Birthday, or perhaps a city pad for a short break or a coastal pet friendly cottage. They're sure to find the perfect holiday home with Mulberry Cottages. Our affiliates will benefit from a leading website that is fully transactional, where holidaymakers can seamlessly search for properties, see real time availability, check accurate prices and book full weeks, short breaks and discounted holidays all online or via our award winning booking team. Earn £15 per sale. New Forest Cottages - Established in 1978, New Forest Cottages is the oldest and largest letting agency specialising in self catering holiday cottages in the historical New Forest area of the county of Hampshire in Southern England. Properties range from quaint thatched cottages to comfortable town houses and luxury apartments and are set in forest, rural, town, village and coastal locations. Average basket value per booking is circa £700 and the New Forest is proving a very, very popular holiday destination. With an enviable service feedback score of 98% according to Feefo and impressive year on year growth, New Forest Cottages would make the perfect affiliate partner for your site. Commission rate to all affiliates: 1-10 bookings - 5%; 11-20 bookings - 6%; 21+ bookings- 7%. Average basket value: £750. The New York Pass - is a Sightseeing Card that offers free entry to over 80 Attractions in New York City for one great price! Our passes use smart card technology that work just like credit cards. Just present the pass at the ticket counter and your admission is taken care of! The New York Pass comes with great extras like front-of-the-line privileges at many major attractions. There are over 50 million leisure visitors coming to New York every year - great market for Your expansion. Earn 6% commission on sales. OneTravel - is a travel website offering flights, Hotels and Vacation & Cruise Packages to top destinations around the world. OneTravel.com was launched in the mid-nineties in a Barn in Pennsylvania and has grown to be one of the most recognized travel brands in the US and abroad. OneTravel are one of the oldest and most respected travel sites, well known for incredibly low airfares, last minute flight deals, cheap business class flights, affordable first class fares, discount hotels, best car rental deals and attractive vacation packages. OneTravel have just added 84,000 newly negotiated hotel rates to their offering. OneTravel products are backed by a courteous and professional toll free customer support team who are available to you 24/7. OneTravel cater to all types of consumer demographics. All of their offerings have one commonality - Great Travel Deals. A few of OneTravel specialties include, Student Travel, Senior Travel, Gay and Lesbian Travel and Ethnic Travel. Customers can safely and securely research, plan, book and manage their entire travel itineraries on OneTravel.com. Buying low cost airfares and cheap hotels on OneTravel.com is as easy as two clicks. Take advantage of OneTravel.com's specials and budget flight deals. OneTravel.com provides email updates on last minute deals, travel packages, first class and business class flight deals and budget flights to your favorite destinations. Soon, OneTravel.com will be offering its patrons membership benefits and profile management services, which will include storing traveler profiles for easy purchasing and management, including a history of all past trips made by travelers. OneTravel.com has signed up with major airlines, hotels and car rental companies around the world to bring special Travel Coupons and Offers to continue providing excellent value to customers. Product Tickets or Booking Affiliate Commissions: Air Tickets -> 0 – 1000 $8 -> 1000 – 3000 $9 -> 3000+ $10; Hotels -> 0 -1000 $15 -> 1000-3000 $16 -> 3000+ $17; Cars Rentals -> 0-1000 $5 -> 1000-3000 $6 -> 3000+ $7; Insurance -> 0-1000 $5 -> 1000-3000 $6 -> 3000+ $7. OneTravel pay instantly upon booking even before the travel is completed! Sign up now for the OneTravel.com OneTravel.com Affiliate Program! On the Beach - can help you find cheap holidays by searching more than 30 million airline seats and 30,000 hotels worldwide. We don't sell package holidays, we let you choose the flight and hotel singly to find the best cheap holidays to suit your requirements, and your budget. Check out the On the Beach blog for holiday ideas, news and travel tips. Founded in 1995 On the Beach Holidays (ABTA member) is a leading player in the online travel market carrying over 500,000 passengers every year to Spain, Balearics, Canaries, Egypt, Greece, Turkey & the Caribbean. The company provides customers with a huge selection of flights and over 30,000 hotels from which to choose and build their perfect beach holiday. On the Beach, who are ABTA protected, and recognised by Hitwise as one of the most popular sites in the UK, ranked #7 in the online travel agency category in terms of visits (January 2010). Benefits of the programme include. Partner with one of the fastest growing online travel agents in the UK. Competitive commission rates – ‘bonus’ rates above industry standard. High average booking value – earn £30-40 on an average bookings. Opodo.co.uk - More people than ever before are choosing to shop online. If you want to reach a vast audience of travel hungry users, Opodo is the right choice. Opodo are the first truly pan-European online travel company created to address the real needs of the modern traveller. As an Opodo affiliate, you'll gain access to our extensive range of products including: flights from 500 airlines; over 65,000 hotel properties; insurance; package, ski and city break holidays. You can earn: minimum Hotels 5% (returning to 4%); Flights 1.5% (returning to 1.3%); Flight + Hotel (Dynamic Packages) 3% (returning to 2%); Eurostar 5% (returning to 4%); Car Hire 7.5% (returning to 5%); Travel Insurance 3%. Otel.com - is a leading online travel distributor specializing in discounted hotel bookings for both business and leisure travelers. We offer competitive rates at over 150,000 hotels in 15,000 destinations-198 countries including all popular destinations in the North America, Latin America, Europe, Asia, Africa and the Middle East. Travellers choose from a variety of 1-5 star hotels such as budget hotels, B&Bs, luxury hotels, city hotels, apartments, boutiques and well known chains. And travellers save with our best rate guarantee (110% price guarantee on all rates) and loyalty program. Generous commissions - 6% of total sale (including the taxes). Panoramic Villas - are dedicated to making your holiday home rental experience easy & enjoyable. We will help you find, arrange and book the Holiday Home that is right for you at the best value possible. Panoramic Villas are a progressive, professional and friendly holiday property rental company. We understand that as more and more people look to arrange their own holidays and take advantage of all the benefits that renting a holiday home brings they can be faced quite literally with a world of choice. This often makes choosing the destination and more specifically the property that suits all their needs very difficult and stressful. Finding Your perfect Holiday Rental could not be easier. Earn 1.25% commission on sales. Pariscityvision.com - is the leader and specialist of sightseeing tours in Paris and France nationwide. Member of the Grayline network, we are offering more than 220 excursions to many destinations including Paris, Versailles, Mont Saint Michel, the Chateaux of the Loire and more. A wide range of excursions from essential must-sees to out of the ordinary visits. More than 150 interpreter guides in their native tongue. Unmatched expertise and know-how: the CityVision group is the French market leader in Paris and France sightseeing tours. You can put forward our 3 promotional offers granting customers a 10% discount on following tours: One day pass for an Open top decker bus tour in Paris. Normandy and D-day beaches tour from Paris to visit historical sites such as the Caen memorial recalling the history of WWII, the American cemetery and D-day Beaches. Half day trip to Giverny from Paris to discover Claude Monet’s home and gardens that inspired the impressionist artist for the famous Water Lilies paintings. Earn 7% commission on sales. Park Holidays UK - have a great choice of caravan holiday parks in coastal locations across the south of England in Devon, Dorset, Hampshire, Sussex, Kent, Essex & Suffolk, so there's sure to be a site that's right for you. Whether you're looking for caravan holiday homes for sale, to book great UK family holidays or short breaks, touring or camping Park Holidays can find the ideal park for your holiday. Plus, with the perfect balance of lively and leisurely parks there are great facilities and entertainment to suit all ages. Visit our sites online now and discover great family holidays to remember with Park Holidays UK. PPC: Allowed to use the brand, however please DO NOT use our URL http://www.parkholidaysuk.com/ and no bidding on park names. Please no bidding on ParkDean or any other competitors brand name to link through to ParkHolidays.co.uk. Earn up to 10% commission on sales. Park Plaza Hotels - Whether you are new to Park Plaza Hotels or a returning guest, we offer a genuine welcome with unique, individual service touches discreetly delivered each time you visit. We are passionate that local culture, tradition and personality influences the design and atmosphere of each of our hotels and we are confident of their individual appeal. Park Plaza Hotels ltd. is committed to excellence in all its hotels. We have earned an outstanding reputation for delivering quality products & services and providing real value. Park Plaza Hotels ltd. has over 35 hotels, most of which are marketed under the upmarket Park Plaza Hotels & Resorts and art'otel brands. earn 5% commission on sales. Points.com - helps the world's leading loyalty brands engage their members in entirely new ways - both on Points.com and through their own loyalty program websites. Points.com is the world’s leading loyalty program management site, helping users get more flexibility and value from their airline, hotel, retail, and credit-card loyalty programs. Users can: Join for free; Track all their loyalty balances in one place; Earn points and miles faster, and redeem for gift cards; Exchange and trade loyalty currencies between programs; Buy points and miles to reach loyalty rewards faster; Points.com is proud partners with more than 45 of the world’s leading loyalty brands, including Air France KLM, Hyatt, Virgin America, Jet Blue, Alaska Airlines, US Airways, IHG, Starwood Hotels, Southwest Airlines, and many more! As an affiliate, you will earn a commission on sales simply by referring traffic to our site or our partner sites, increasing your revenue with very little effort. Earn $5.00 when a customer completes a redemption of their miles or points for a gift card. Priority Pass - provides airport VIP lounge access irrespective of who you are flying with, what class you are traveling in, or whether you belong to an airline lounge program. And as a member you'll enjoy the following privileges at airport lounges around the world: Access to over 1,000 airport VIP lounges across over 500 cities 130 countries; Lounge access is guaranteed regardless of the class of travel or airline you’re flying; Peace and quiet - the chance to relax before your flight; Refreshments and snacks - no need to queue for expensive airport food; Full use of facilities - most lounges offer phones, fax machines, email, Internet access and even conference rooms. Priority Pass is the easy, affordable way to escape the chaos of busy airport terminals, flight delays and cancellations and to enjoy the peace and privacy of a VIP lounge. Earn AU$18.00 Per Sale. Radisson Edwardian Hotels - is a collection of luxury hotels in central London, Heathrow and Manchester. The have individually designed rooms, the latest technology, new meeting spaces, chic restaurants and superior service. Traditional luxury hotels can be quite formal and stuffy; the new designer luxury hotels can have an artificial, pretentious air, where your personal sense of style is judged - we believe our guests enjoy and expect beautiful spaces - but do not want to feel that they themselves are on display, or cannot fully relax. The minute you step into one of our hotels, you are free to be whatever you want to be - this is your space to enjoy and we'll take care of you. It does not mean a laissez-faire attitude towards service - far from it. The service you will find here is natural, straightforward, and professional - it is also extremely friendly. Earn from 4% - 7% on all bookings you refer. Rentals Combined - provide business and vacation travellers the ability to find and book over 600,000 quality, professionally managed rental properties across 14,000 locations in 114 countries. With price-matching, 100% financial protection and no booking fees, our mission is to help our customers find the perfect place to stay at a great price and complete peace of mind. RentalsCombined.net offers highly competitive commissions for online bookings that become a completed stay. Top performing publishers are incentivised for higher sales volume. RentalsCombined.net affiliate programme terms: 1 to 20 bookings per month - 5% commission of total sale; 21 to 250 bookings per month - 6% commission of total sale; 251 + bookings per month - 7% commission of total sale. SafariNow.com - is the largest aggregator of accommodation providers in Africa, representing 2060 independent suppliers in Africa via a wide network of affiliated websites. Prominent affiliate websites which integrate SafariNow.com include South African Airways, IOL (and all newspapers run by the Independant Group), M-Web, iafrica.com and many others. SafariNow.com launched in January 1999 and is based in Cape Town and is a registered South African private company. SafariNow.com has the most widely used and successful affiliate program within the tourism industry in Southern Africa. 2000 Establishments in Southern Africa. You earn 25% of the SafariNow.com net revenue per transaction for all referred customers. Referred customers are yours for life. Payments made monthly, no minimums. Detailed real time financial reports of your revenue. Create your own website look, skins, maps. Know which links from your website are working well.